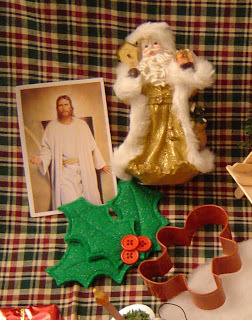 There are a lot of Christmas decorations and traditions (wreaths, holly, bells, etc) that have religious roots and we wanted something that would help teach our children about those. That way when they see those symbols out and about in stores and such they can be reminded of the religious significance of the holiday. This is something I put together last year. I made one for our own family and also made several to give away as gifts...I think I ended up making 6 total. Since I was making these on a tight budget and was making so many, I tried to find as many things on sale or in packs of several at a time. They ended up costing about $9 per tin, although you could easily go up or down depending on the number and quality of item you get. I got most of the things at Michael's or Jo-Anns and made sure that it was either already on sale or that I used a coupon. If you're like us and have a ton of Christmas ornaments, you may already have a lot of the things you'll need on hand. 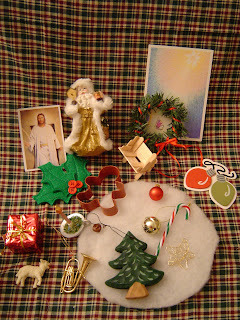 Some of the things in the picture are ornaments we already had, and the ones we gave away had slightly different options. I went to both Jo-Anns and Michaels and bought pretty much everything that I thought would be a good option. I was looking for inexpensive items small enough to fit in the tins, but that were still large enough to be of interest to children and not so cheap that they looked tacky. In some cases I wasn't able to find something I liked for a reasonable price, so I made my own. Once I'd brought all the items home (I had some duplicates since Jo-Anns and Michaels had different options for the candy canes for instance.) I looked through them and made a decision looking at the quality and price for which ones to keep. The others I returned to the store. So here's a quick run down of what I did for each. The red glass ornament came in a pack with about 20 others. The Christmas lights are a wood cut out that came already painted. If you have a string of Christmas lights that don't work or something, you could just cut part of the string a few inches long and use that. 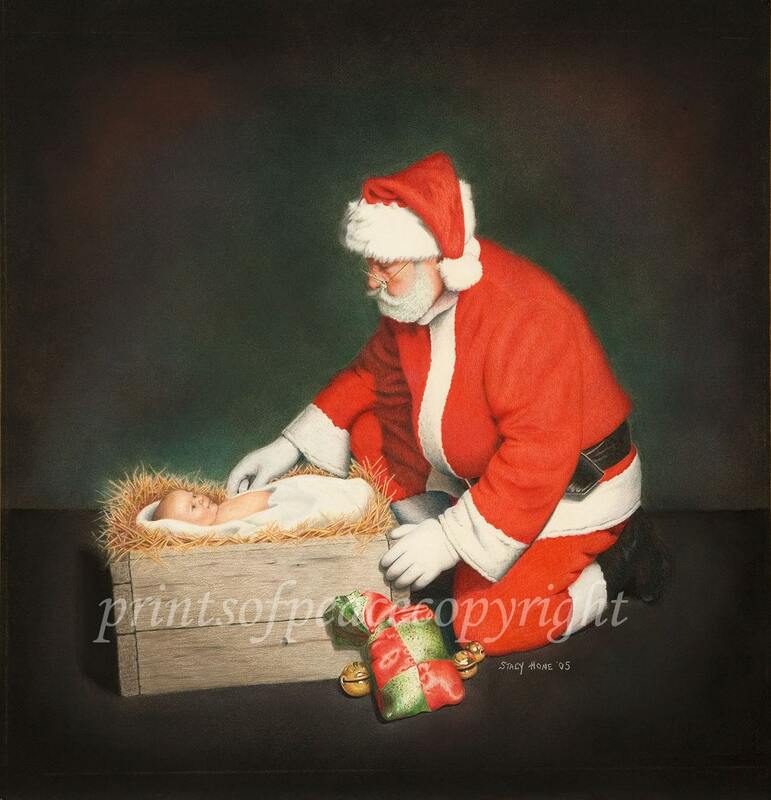 This Santa/St. Nick was a gift to us several years ago. 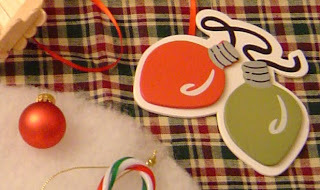 For the tins I used for others, I put in a Santa ornament (a cool rusted metal looking one). The picture of Christ emerging from the tomb is an LDS pass-along card. If you're LDS you'll know where to get them. If you're not LDS and can find some LDS missionaries, they'll give them to you for free. The holly I made using a template I found on the internet. It's two layers of felt sewed together around the edge and sewn down the middle with a few buttons for holly. (I tried finding a fake holly garland to cut up, but the ones I found would have looked tacky if I'd just cut off a couple leaves.) There were cheaper options for the cookie cutter, but I really liked how this looked and it still wasn't too expensive since it was 50% off. You could just use one from your stash. The gift box came already wrapped that way in a package of about 6. The candle is an ornament we already had, but I just bought small candles in a 10 pack and included those in the gift tins. The lamb was the most expensive bought item for these...I think $2. 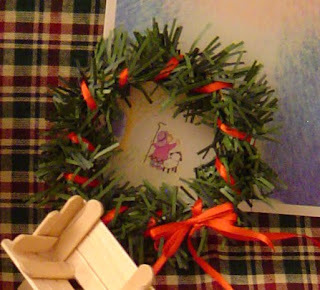 For the gift tins, I put in a little wood cut out one that was already painted for the lamb. The baritone/tuba is an ornament we also already had. For the gift tins, I used a wood cut treble clef that was already painted. 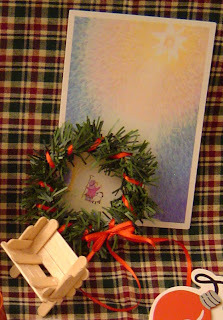 The manger I made with a glue gun and mini-popscicle sticks. The Christmas card is one left over from the previous year. I was surprised how hard it was to find a good evergreen wreath. They were all either $3+ each or looked tacky. I made my own with 2-12'' straight pieces of the cheap, fake evergreen stuff, doubled them up to make it look thicker, and wrapped it with ribbon and tied the bow. The candy cane came in an 8 pack. The bell came in a back of about 15. The star was from the bead/jewelry section and came in a set of 3. 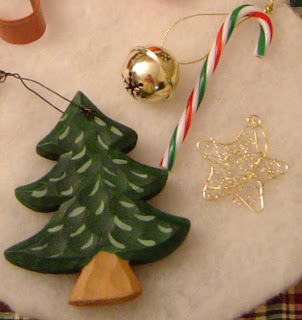 The Christmas tree was just plain wood and I painted it with acrylic craft paint and then sprayed it with a shinier coating. 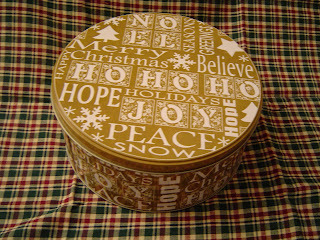 And once you're done, put them in a Christmas tin...sorry this was the best I could find at the cheaper price. All the others were covered in snowmen. There's a story that goes with this that's been around for years usually titled something like "Teach the Children." I have no idea who originally wrote it. We found one similar to this one and filled it out a bit to include more symbols. I've included them below as picture files. If you click on them, you should be able to see them large enough to read and print. If you would like me to send you a Microsoft Word file or PDF just leave a comment or send me an email. If I can figure out how to post a Word file or PDF file on here, I will. (If anyone reading this knows what to do for that, let me know.) If anyone else decides to do this, I'd love to see what you come up with. 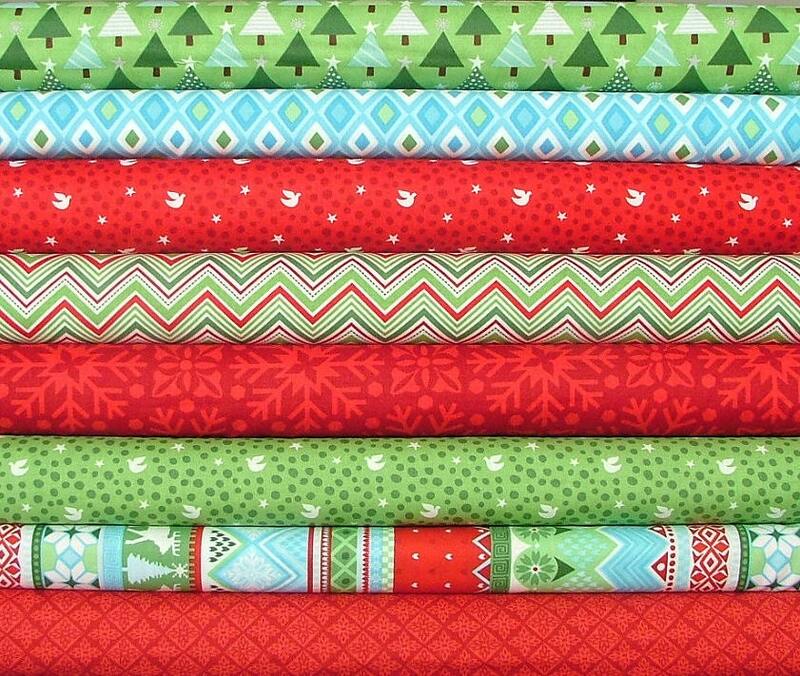 Also if anyone has any fun Christmas projects or traditions to share, join the linky party. Just take a button from the sidebar and put it in your post so others can get involved too! (And this is still the same McLinky from before...don't by shy. My poor links are looking kind of lonely don't you think? Oh, fun. We'll have to take our tin with us to Nana and Granddad's house for Christmas this year. 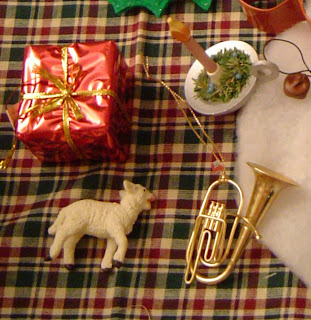 I recognize some of those ornaments - especially the baritone! Fun memories. This is a really interesting post!! Thanks for entering it it my little party! I love religions and their meaning for everything. Symbols have such a strong power, and the message of Jesus is quite simple, but true. Though It's not my path of faith, I agree with this message, it enters my value. Everything you showed above has a different (but not so different) meaning to me as I am pagan. 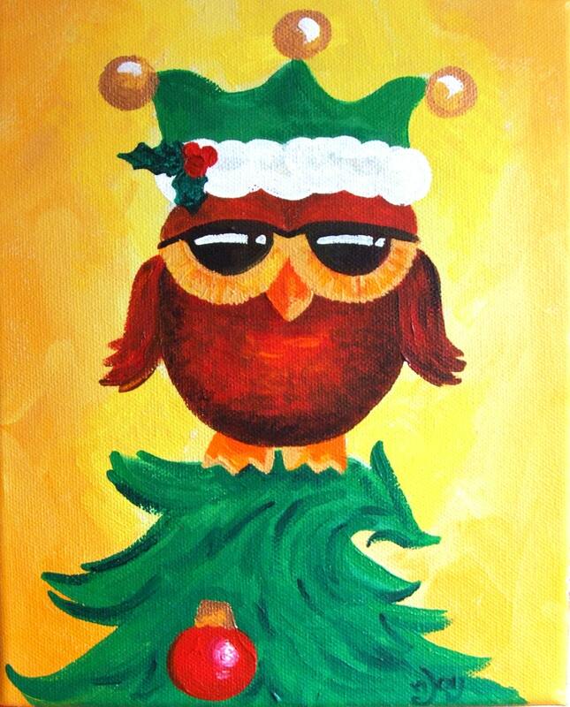 Noël -I'm also French!- Means the renewal of the light, as the days get longer. Holly represents the fertility of the Male God, round ornament represents the Goddess ... even you image of the Christ could represent the rebirth of the Sun God...But faith carries the same message. Have wonderful time with the ones you love this Christmas! Very cool idea! Just stopping by. I found you on A Soft Place to Land. I love it when I come across of member of the Church! Happy Thanksgiving! Great Blog! What a great idea!! Thank you for sharing! Thanks for posting this, it was exactly what I was looking for. LOVE THIS! I run a mom's group at our church and this would be perfect for us!